I spent the day away from my quilting machine and this was the project I worked on instead. The lone star quilt with the tiny center. I had procrastinated long enough on this one. It should have been finished in December. I decided it HAD to get done. Done is good! I tried Bethany’s method to fix the problem but I still wasn’t satisfied with the results. It’s a very good method; I just expanded on the concept a little. The problems with this particular quilt couldn’t be fixed without taking it completely apart down to the star points. 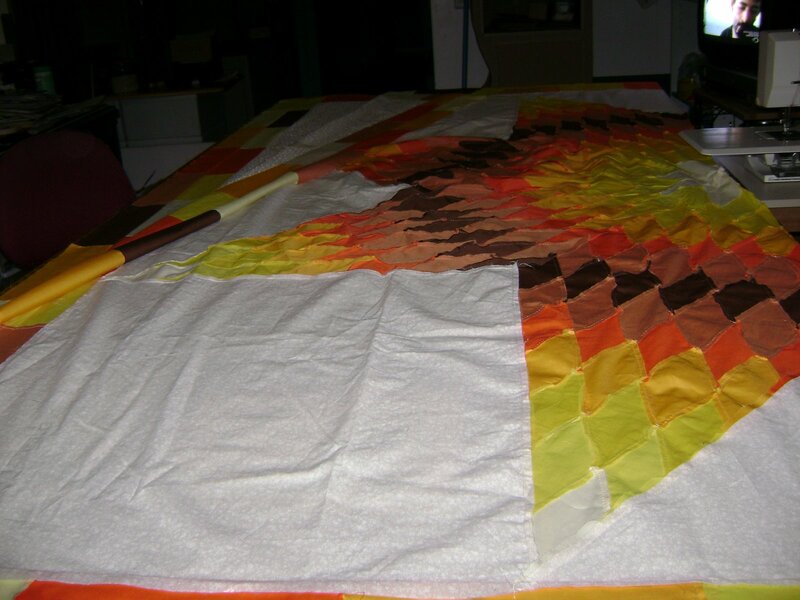 Here is one of the problems for this particular quilt. The pieces within the star points are not the same size. Naturally since the pieces within the points are not the same; the star points are not the same size either. Here’s an example. I lay the edges even on one side and this shows how much difference there is in the size of two different star points. What I did was take Bethany’s tip for measuring and expanded it a little. I first found the 45 degree of all the points. Marked all the sides…. 4 sides of 8 star points…. with a straight line. Then measured all the sides along the marked lines…. point to point. (I had 32 measurements.) I matched the closest size sides to sew the star back together. Luckily I could use either end as the center because the colors are the same. I hope this is making sense to you. By matching the closest side measurement together and matching the drawn lines together; it eased out the tightness of the very center of the star. 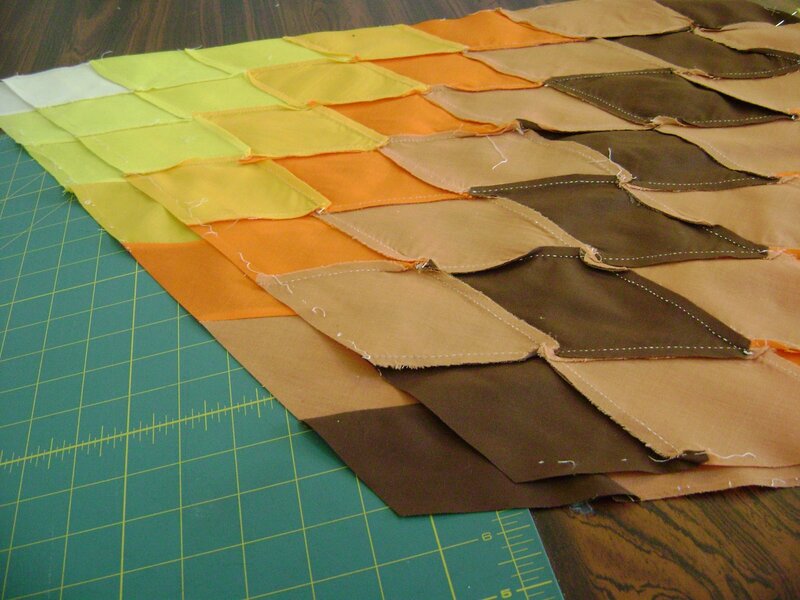 Next I took the sizes of the unsewn edges and averaged them by 16 to get the size of the corners. This was the method Bethany told me about. To get the side triangle measurement I folded one of the corners in half and lay it on top of the triangles. Then marked the triangle for the correct size. So here it is all sewn back together with all the original fabrics. There still appears to be a little tightness in the very center but I won’t know for sure until I get it onto the machine. I even got the borders sewed back on. I’d say it was a very productive 12 hour day. 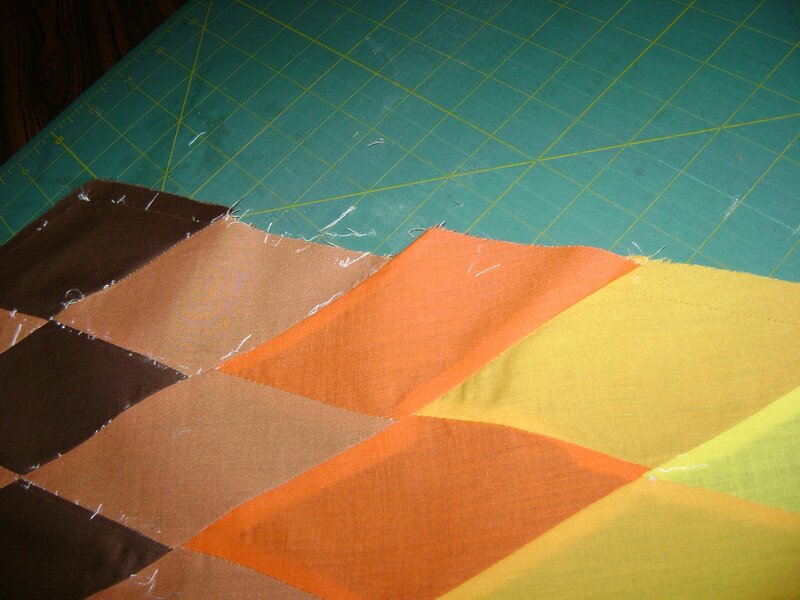 Why didn’t I simply cut new fabric to fix the problems? Well, this is a memory quilt. The last quilt worked on by the owner’s mother before she passed away. I wanted to use as much of the original as possible so it would remain her work…. not mine. I’m just finishing it for the memories. If there is still a problem when it’s put onto the machine that’s when I can discuss with the owner the possibility of new fabrics. So now it waits it’s turn at the machine. I’m anxious to know if the problem is fixed. Is this April? 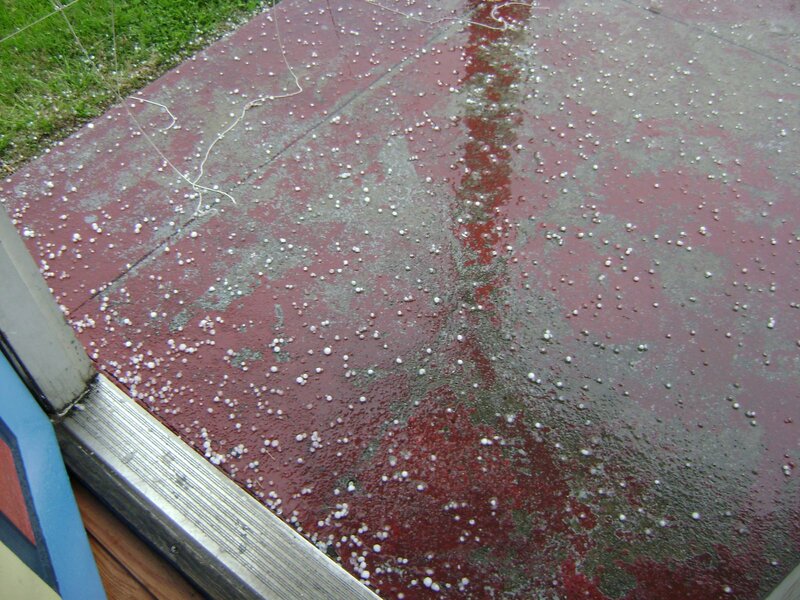 I guess it is… storms and hail make it April. Gee…. 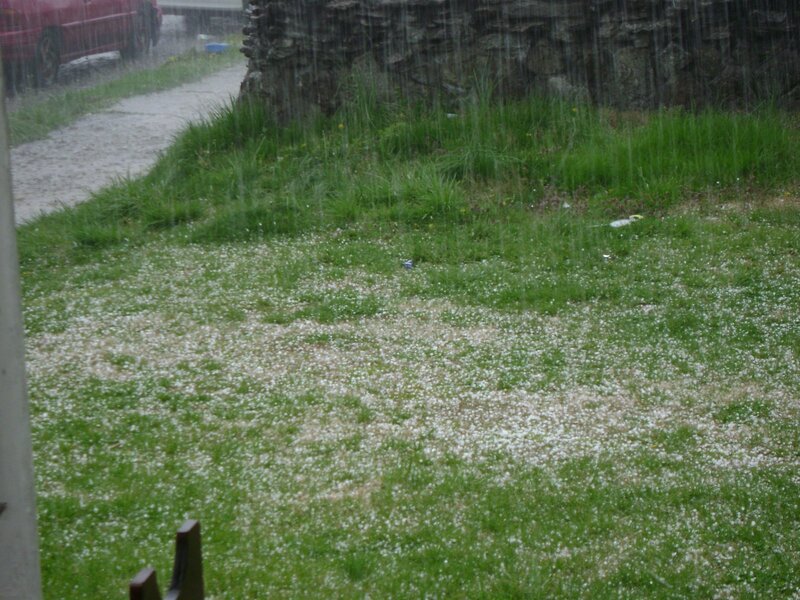 that’s a lot of hail coming down. I’m glad that quilt top was finished because I don’t work with either machine during a storm. Too much chance of lightning damaging something (or me) so I unplug everything. 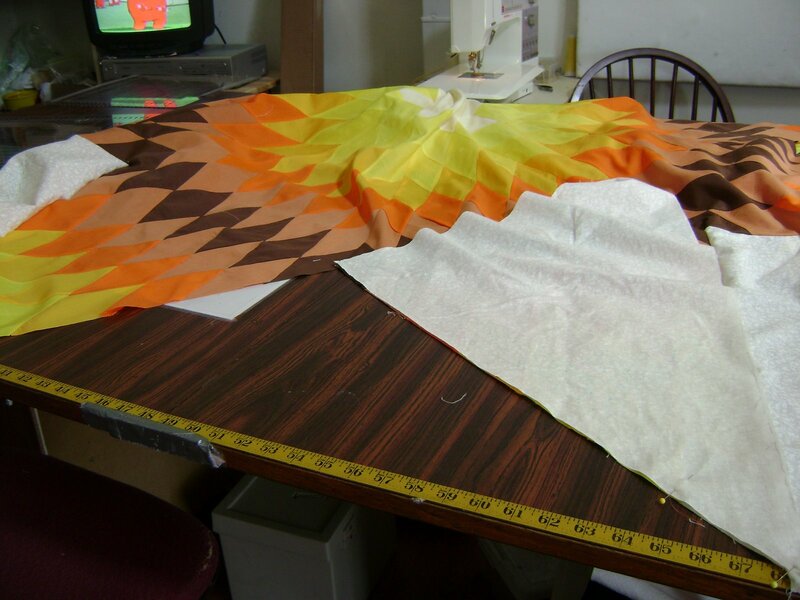 Today….. it’s back to work at the quilting machine. WooHoo! You got it done! Once you get it quilted it’s going to look fabulous! You have a LOT more patience than I ever had!!! 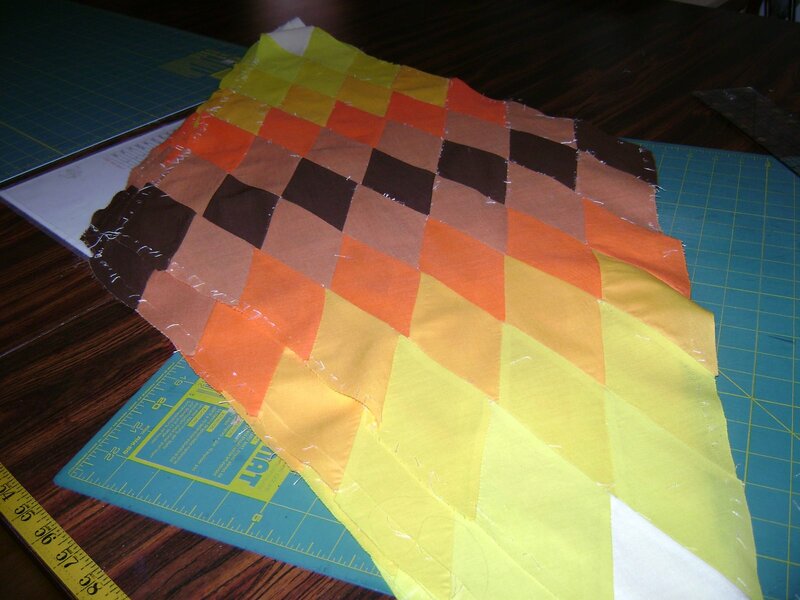 That sure is a lot of work you have done on a quilt that you were just supposed to quilt. I hope the owner is paying you for your time fixing the problem in addition to the time quilting it. It was very interesting reading how you figured it all out. Now I can’t want to see how you quilt it! 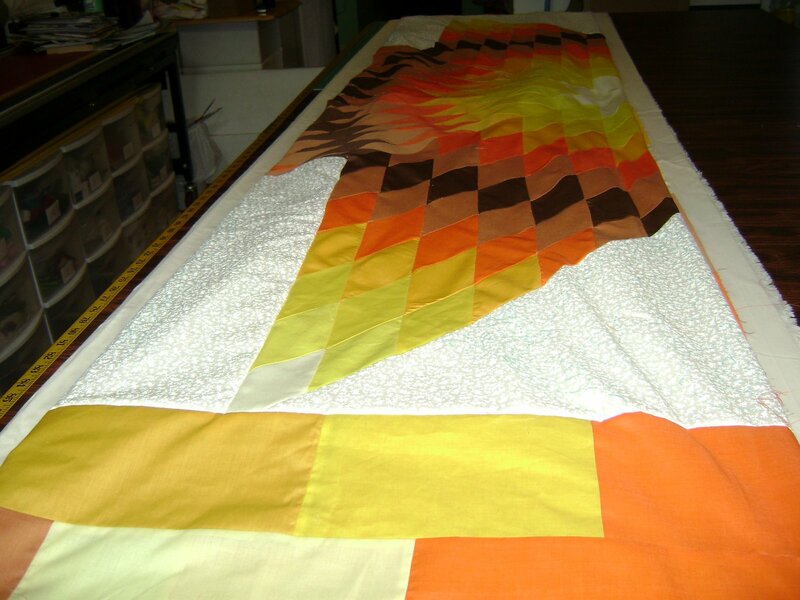 This entry was posted on April 14, 2009 by Anita in Issue quilts 2009, QUILTS - PIECING.